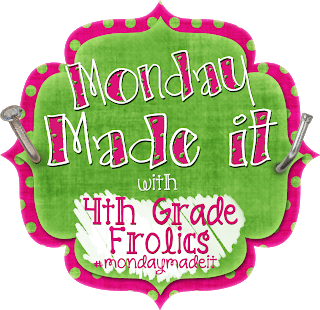 It’s Monday Made It time already–and I’ve linked up with 4th Grade Frolics yet again! Make sure to check out all the great stuff! The reality of my dwindling days of summer has hit, so I have vowed to chip away at some of those tedious tasks that have to be done before that first day of school. 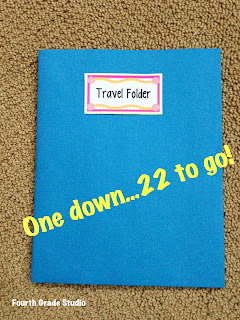 This weekend I started work on my “Travel Folders”. 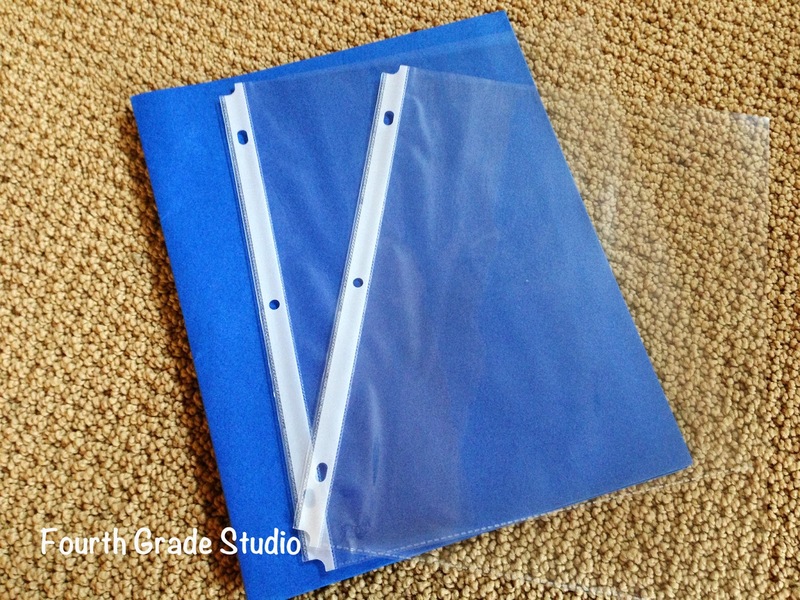 I know lots of people have their own versions of folders or binders that they use to move back and forth between home, but I have found that keeping the folders relatively simple is the best approach! I prefer to use three prong folders . . . binders always seem to take up too much space and end up broken down and battered by the end of the first quarter! 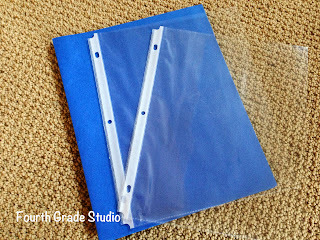 I use the three prong folders and then can replace them later in the year if needed–and usually they make it all year! 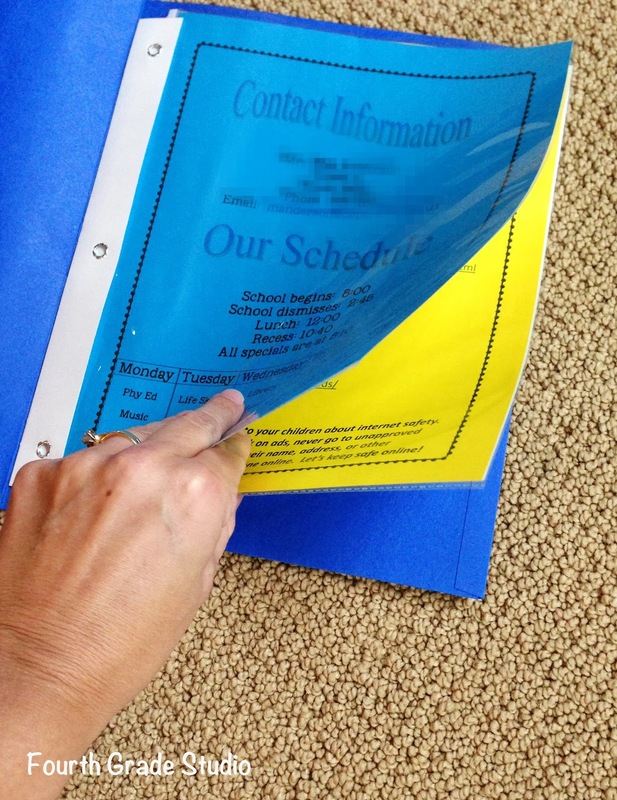 I simply put in two sheet protectors containing 4 key pages of key information. What do I put in mine? Page one is a contact sheet with my information and our daily schedule. 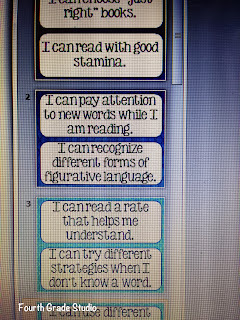 Page two is a list of my homework expectations–including expectations for home reading, suggestions for how to do our word sorts for Words their Way, and our policies about how much time should be spent doing homework. Page three is a resource page that includes our district website homepage with a link to our library homepage which can get students to all the great websites we have linked for them. This page also has a reminder about internet safety! 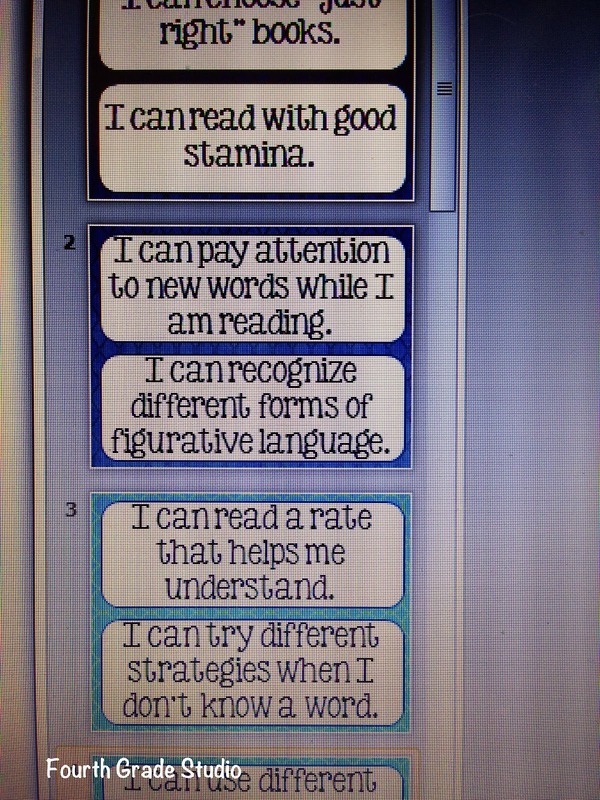 The final page is a graphic that shows the importance of doing home reading. The students use this folder to bring all their work home and to bring back notes and other correspondence from home. 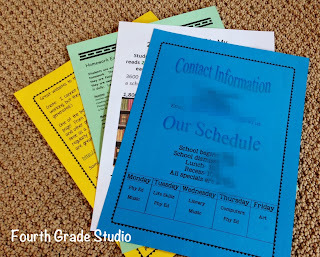 They also keep their weekly reading logs in them so they are always with them both at school and at home. 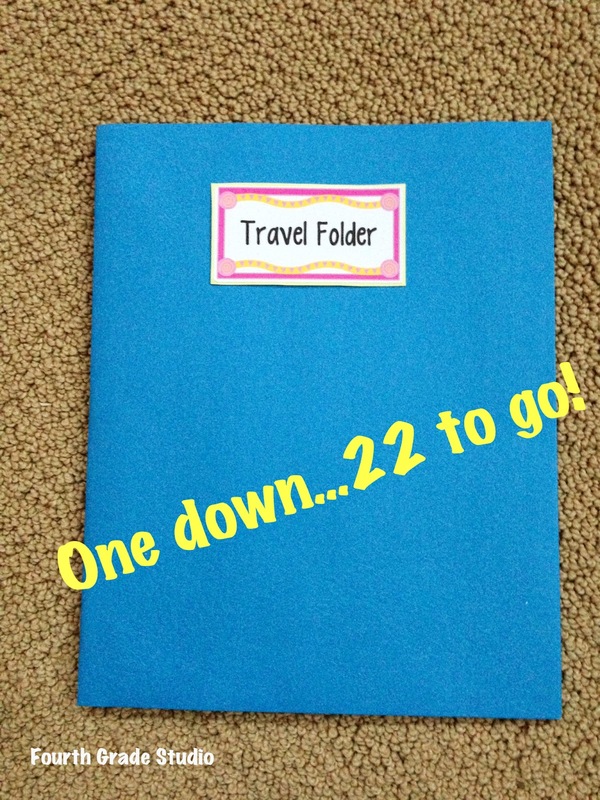 A few years ago I started making these myself because I wanted every child’s to be the same color so I could always say “take out your blue travel folder” and there would never be any mixups. It is one of my few systems that works! Another project I started working on this weekend was making learning target posters for our first units in reading and writing where we launch the readers and writers workshops. I thought it might be a good idea to have them in poster format and then hang them up as I introduce them. 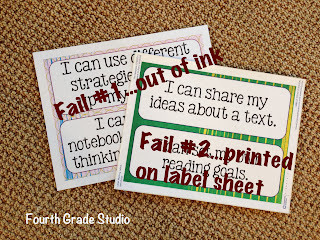 It would be a good first bulletin board–especially since I know I will be referring to them often. So . . . I picked some cool coordinating digital papers . . . selected one of my favorite KG fonts . . . and got to work. This is where the FAIL comes in. Yes, that’s right. 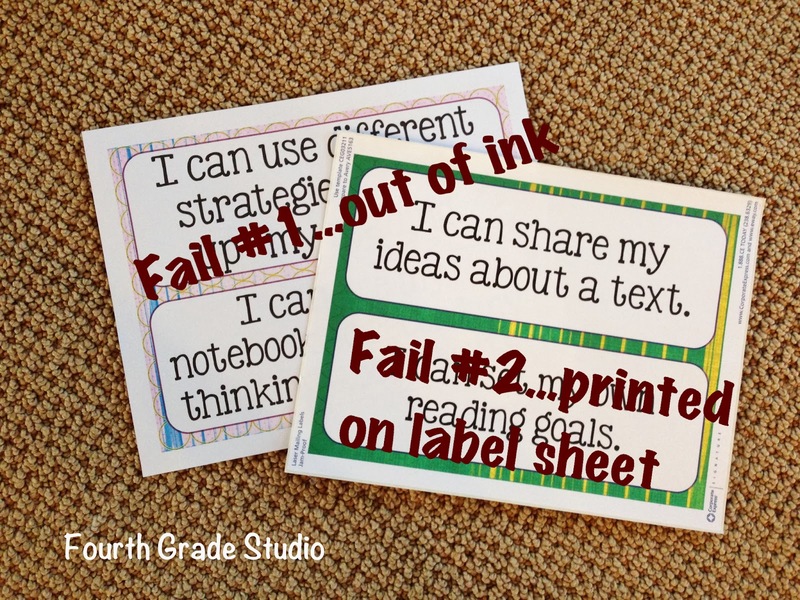 I hit “send” and didn’t realize that I was (a) out of ink and (b) printing on labels. FAIL. At this point, I made the executive decision to abandon ship and finish this project after a run to my favorite store sometime tomorrow. In a nutshell–this weekend was a Monday “Half Made It”! I hope everyone has a great week–a day of Smartboard training for me and then more work tackling my classroom. Updated photos to come!